Several iPhone users have reported that they have faced this issue on multiple occasions. Their iPhone gets stuck either on the white or black classic Apple logo and no matter what they do it remains that way. This happens usually due to some hardware problems. This can be so frustrating at times when you urgently need your iPhone and it is stuck. You can fix this in some easy ways. This article speaks about different ways in which you can fix iPhone stuck on Apple screen. There might be several reasons for iPhone screen not responding. When you upgrade your iPhone’s iOS and it gets upgraded to an unstable iOS, this issue arises. It can also come up if you try to downgrade your iOS. If in case you have recently restored your device or you use a jailbroken device, even then you can expect this problem. Sometimes when you are multitasking on your phone and you open too many applications all at once, your iPhone screen might get stuck. One of the major issues for this problem is the malfunction of hardware components of your iPhone. It could also be due to Malware attack in your iPhone. Any technical glitch in the booting system of iPhone can lead to such problems. This is the easiest and quickest way to solve the issue of iPhone screen unresponsive to touch. Force restarting method is different for different iPhone model. Steps to restart each iPhone models are given below. If your iPhone 6 screen unresponsive, press and hold Home & Sleep/Wake button together till you see the Apple logo. Press and hold the Volume & Sleep/Wake together till you see the Apple logo. First carefully tap two buttons one by one quickly and release it, Volume Up & Volume Down. After this, press and hold the Sleep/Wake button till you see the Apple logo. If the above method doesn’t solve your issue of iPhone touch screen not working properly, you still can fix your iPhone by entering the Recovery Mode and restoring your iPhone. Follow the step below to know how to do it. Step 1: Take your PC/Mac and launch iTunes on it and connect your iPhone to it which is having the logo stuck issue. Step 2: Switch off your phone and connect your device. Now, follow the exact method above (force-restart) till you see “Connect to iTunes” screen. Step 3: iTunes will show “Device is in recovery mode has been detected”, after this select “Restore” to restore it. Step 4: Again, it will prompt you to Restore and ultimately update your device. And it is done! New software will be downloaded and installed. This may solve the issue! If you worry about the data loss, you can use iCareFone to make a free backup. Learn how to backup iPhone without iTunes/iCloud. If both the methods did not prove useful to you, you can use the DFU mode method. This is slightly trickier so follow the below steps carefully. Step 1: Take your PC/Mac and connect your iPhone to it, after this launch iTunes in it, press and hold the Home button along with Sleep/Wake button for about 10 seconds and not more. Step 2: Once your iPhone’s screen becomes black, release the Sleep/Wake button but don’t leave the Home button until it is displayed that your device is in recovery mode. If you get black screen it means that you are in DFU mode, but if some other message gets displayed it will mean that you are in just normal recovery mode. Putting your phone in DFU mode may cause few damages to the data stored in your iPhone, if you still want to take the risk you can go ahead by following the above-mentioned steps. Tenorshare ReiBoot is a free software which is designed to repair and troubleshoot the glitches in iPhone operating system. You can use this software to fix your iPhone which is stuck at the white or black Apple logo. If you want to know how to fix unresponsive iPhone screen by using this software, follow the steps below. Step 1: Download, install and launch Tenorshare ReiBoot on your PC/Mac. Step 2: Connect your stuck iPhone to your PC/Mac with the help of USB lightning cable. 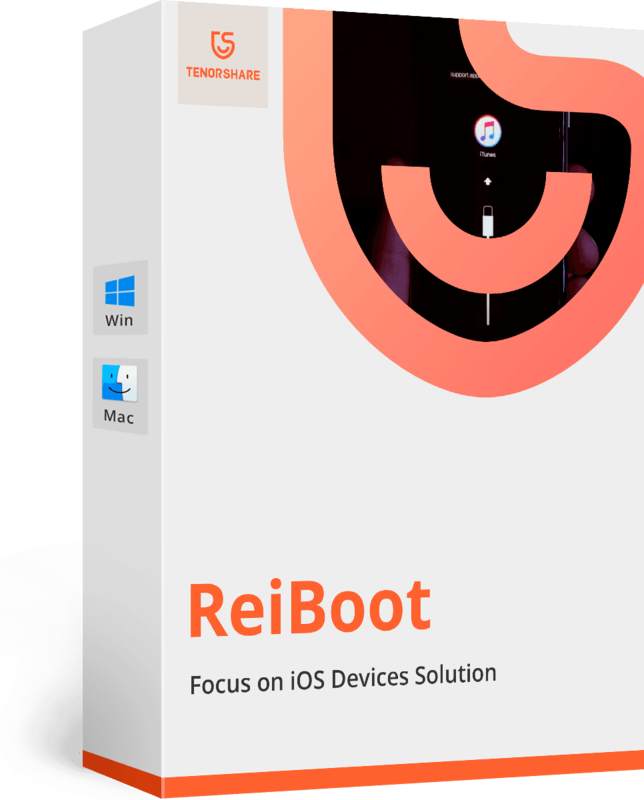 Step 3: ReiBoot will now detect your stuck iPhone. Step 4: Click on “Repair Operating System” and wait for a while and then move on to the next step which is clicking on “Start Repair”. Step 5: After the latest firmware package has been downloaded, proceed by clicking on “Start Repair”. This way, your iPhone will start functioning normally without any loss of data. If in case your iPhone screen is stuck at the black or white Apple logo, and none of the above methods are working towards resolving this issue of yours, then the best thing which you can do is contact Apple support centre. These people will know a better way to fix your iPhone. You can either email them or call them to ask for their suggestions to fix your iPhone or you can even visit their local service centre to get the problem resolved. iPhone screen getting stuck is a common issue faced by many iPhone users. The above-mentioned methods are the most effective ones out of all to resolve this issue and make you gain access to your iPhone again. Tenorshare ReiBoot is the most recommended software which has been specially designed to solve and repair these technical glitches in iPhone. Go for it!